That was a decade ago, and a lot has changed since. 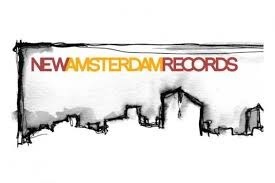 Most notably, Resonance is now an industry leader in deluxe archival releases, many of them new discoveries and all of them meticulously sourced and handsomely produced. 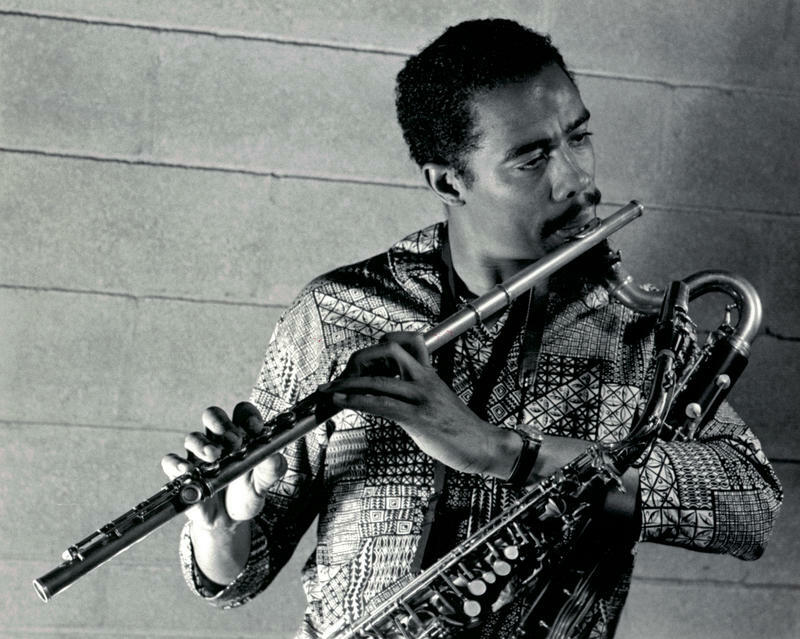 The label catalog features sprung-from-the-vault gems from Wes Montgomery, Bill Evans, Grant Green and others — and will soon include a trove of studio material from saxophonist, bass clarinetist and flutist Eric Dolphy. 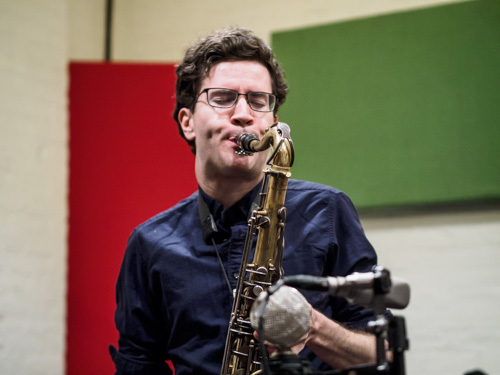 Read Nate Chinen’s full story and interview with Resonance Record’s Co-President Zev Feldman, and hear an exclusive track premiere of Eric Dolphy’s “Mandrak (Alternate Version)” [at the full article] – never before released. The Dolphy release — a three-disc set titled Musical Prophet: The Expanded 1963 New York Sessions — will be available on limited-edition vinyl on Nov. 23, with a wider release next Jan. 25. It contains two albums originally produced by Alan Douglas, Conversations and Iron Man. 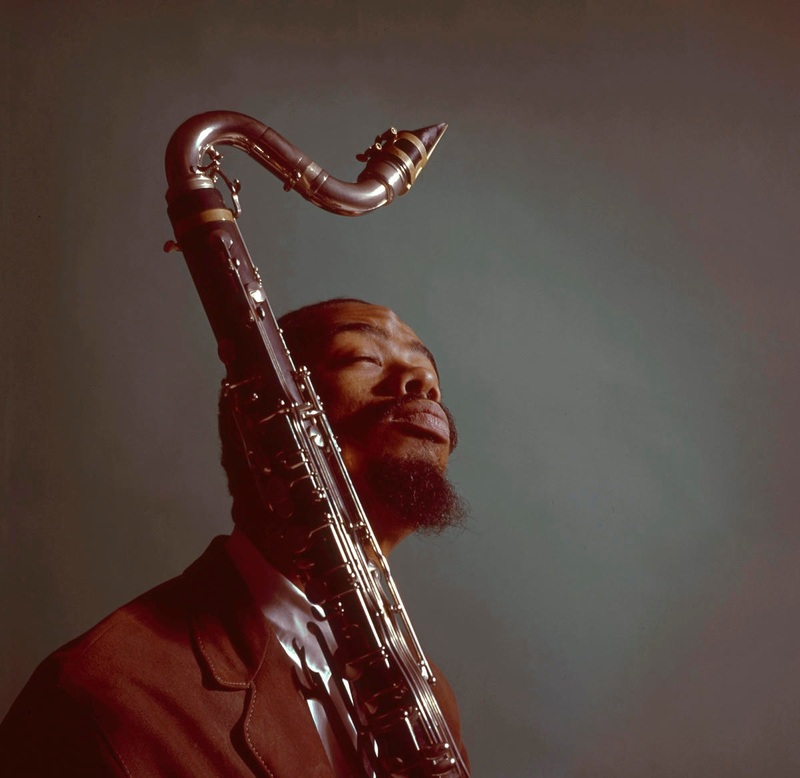 Along with that music, featuring Dolphy alongside contemporaries like vibraphonist Bobby Hutcherson, bassist Richard Davis and, making his recorded debut, trumpeter Woody Shaw — the set will include 85 minutes of previously unreleased material, taken from tapes that had come into the possession of flutist James Newton. Among those unissued tracks is an alternate take of “Mandrake,” which has its premiere here [at the full article]. As is the case with most high-profile Resonance releases, Musical Prophet comes with a lavish booklet packed with historic photographs and commissioned essays. (It runs 96 pages, with contributions from Chuck Stewart, Val Wilmer and Robin D.G. Kelley, among many others.) The initial, limited release will be a Black Friday exclusive for Record Store Day, a tie-in that the label has proudly cultivated. It also arrives just as Resonance is celebrating its 10th anniversary, with all due ceremony. On Oct. 28 and 29, the label will take over Birdland in New York with an array of artists from its contemporary roster. Among them are clarinetist and tenor saxophonist Eddie Daniels, trumpeter Claudio Roditi, violinist Christian Howes, and vocalists Polly Gibbons and Aubrey Logan. The resulting compromise will be a series of compilations on all digital platforms starting next February: selections from the label’s Montgomery and Evans stock, along with separate vocal and piano samplers, drawing from both the historic and present-day roster. If all goes according to plan, the presence of these tracks on streaming services will introduce Resonance to a wider listening public, raising its overall profile and eventually boosting sales. But Feldman and Klabin emphasize that they see the compilations as standalone products, made with intention. “I like to think back to the time when Warner Brothers and Pacific Jazz used to churn out album samplers,” says Feldman. “Some of the artwork was really incredible.” In that spirit, Resonance has commissioned the noted graphic designer Takao Fujioka to create art for the compilations, which will also be available on CD. ECM might just be the finest recording company in the world. 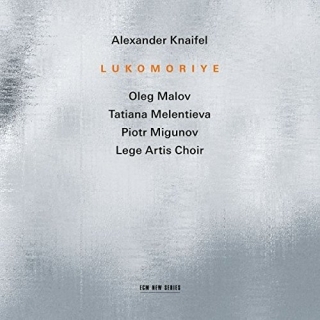 The fourth New Series album from Russian composer Alexander Knaifel may be his most wide-ranging to date. Luminously quiet, and quietly magical. 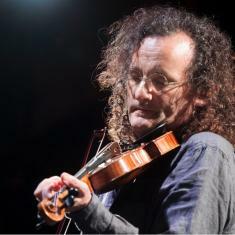 When Martin was last in residence at IAC in the fall of 2016, alongside his longtime collaborator, guitarist Dennis Cahill, it prompted the Village Voice to write, “It’s a big deal when the violinist and guitarist make their semi-annual New York stops.” Wednesday, April 25 should prove to be no exception, when Martin is joined Cahill as part of IAC’s extraordinary triple-bill Gala Concert Event at Symphony Space. Jon Pareles of The New York Times has said of the legendary pair, “In their long collaboration, [Martin and Dennis] have found intriguing possibilities within the traditional Irish repertory – glimmers of jazz, Minimalism and chamber music – without diluting the traditional spirit.” The evening also features Camille O’Sullivan and Declan O’Rourke, with special guests including Gabriel Byrne and Paul Muldoon. On Thursday, April 26 at Irish Arts Center, audiences can hear Martin and former Bloomberg Deputy Mayor and renowned national political strategist Howard Wolfson speak about their passions in a live taping of humorist and four-time Emmy Award-winner Randy Cohen’s podcast Person Place Thing. The beloved podcast is based on the idea that people are particularly engaging when they speak not directly about themselves, but about something they care about. For each episode, guests talk about one person, one place, and one thing that are important to them. 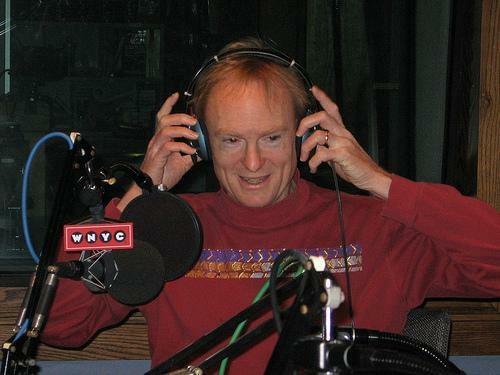 Past guests have included Paul Shaffer, Ta-Nehisi Coates, Maya Lin, Laurie Anderson, Andy Borowitz, A.O. Scott, Jonathan Safran Foer, and Julianne Moore. The residency continues with three evening concerts featuring Martin performing alongside special guests, each brilliantly curated by the artist in residence himself. Friday, April 27 sees Martin joined by Tríona Marshall, former principal harpist with the RTÉ Concert Orchestra; as well as Nic Gareiss, percussive dancer and current member of This is How we Fly. On Saturday, April 28 Martin is joined by Marla Fibish, mandolin player and member of the duo Noctambule. And to close out the residency on Sunday, April 29, Martin is joined by Kevin Crawford, flute player and former front man of Lúnasa, who has toured with Martin and John Doyle as The Teetotalers. Martin Hayes: In Residence is made possible in part through the generosity of Bloomberg Philanthropies and Howard Wolfson and Terri McCullough. Martin Hayes is joined by his longtime collaborator Dennis Cahill as part of an extraordinary triple-bill Gala Concert Event also featuring Camille O’Sullivan and Declan O’Rourke, with special guests including Gabriel Byrne and Paul Muldoon. 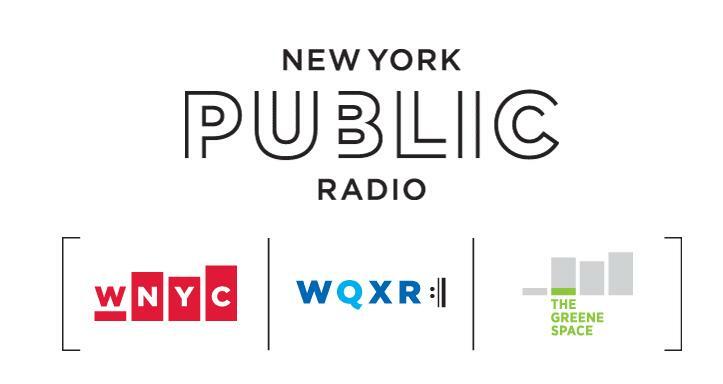 Martin Hayes joins four-time Emmy award-winner Randy Cohen and former Bloomberg Deputy Mayor and renowned national political strategist Howard Wolfson for a live taping of Cohen’s podcast Person Place Thing. Martin Hayes in concert with Tríona Marshall, former principal harpist with the RTÉ Concert Orchestra and previous member of the Chieftains; as well as Nic Gareiss, percussive dancer and current member of This is How We Fly. Martin Hayes in concert with Marla Fibish, mandolin player and member of the duo Noctambule. Martin Hayes in concert with flute player Kevin Crawford, former frontman of Lúnasa, and former touring partner of Hayes and John Doyle as The Teetotalers. Irish Arts Center, founded in 1972 and based in Hell’s Kitchen, New York City, is a national and international home for artists and audiences of all backgrounds who share a passion for the evolving arts and culture of contemporary Ireland and Irish America. 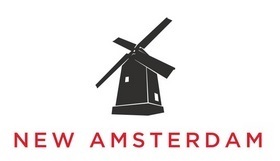 We present, develop, promote, tour, and distribute work from established and emerging artists and cultural practitioners, providing audiences with emotionally and intellectually transporting experiences-the results of innovation, collaboration, and the authentic celebration of our common humanity. This year, we will break ground on a landmark new permanent home, including a state of the art contemporary, flexible performance and arts space for the presentation and development of work across a range of disciplines; a second, intimate performance space-the renovated historic Irish Arts Center theatre-optimized for the most intimate live music and conversation, recordings, master classes and special events; classrooms and studio spaces for community education programs in Irish music, dance, language, history, and the humanities; technology to stream and distribute the Irish Arts Center experience on the digital platform; a spacious and vibrant avenue-facing café lobby that will be a hospitable hub for conversation and interaction between artists and audiences; and a beautiful new courtyard entrance on 51st Street where the historic Irish Arts Center building and the new facility meet. 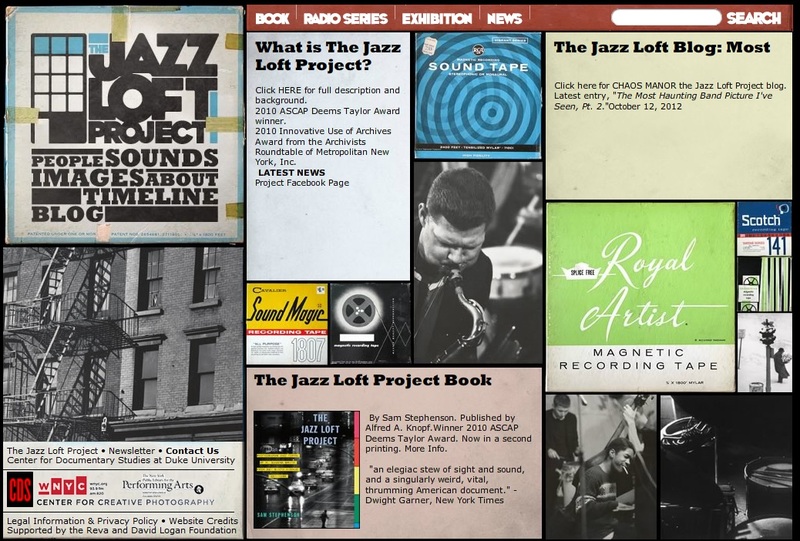 JazzCorner.com is the largest portal for the official websites of hundreds of jazz musicians and organizations. New features on JazzCorner include the jazz video share where you can upload and share jazz and blues videos, JazzCorner Jukebox, surf the net with Jazz always on, submit your latest jazz news, and check out what’s hot at JazzCorner’s Speakeasy, the busiest bulletin board for jazz. Be the first to know where Jazz artists are performing in our gigs section, and be sure to listen to our podcasts with established and up and coming jazz musicians in our Innerviews section. 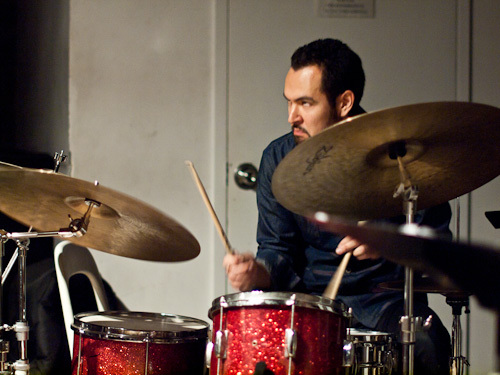 A Dance That Empties is Travis Laplante’s latest album-length composition, written for Subtle Degrees, a new two-musician ensemble consisting of Laplante (tenor saxophone) and Gerald Cleaver (drums). 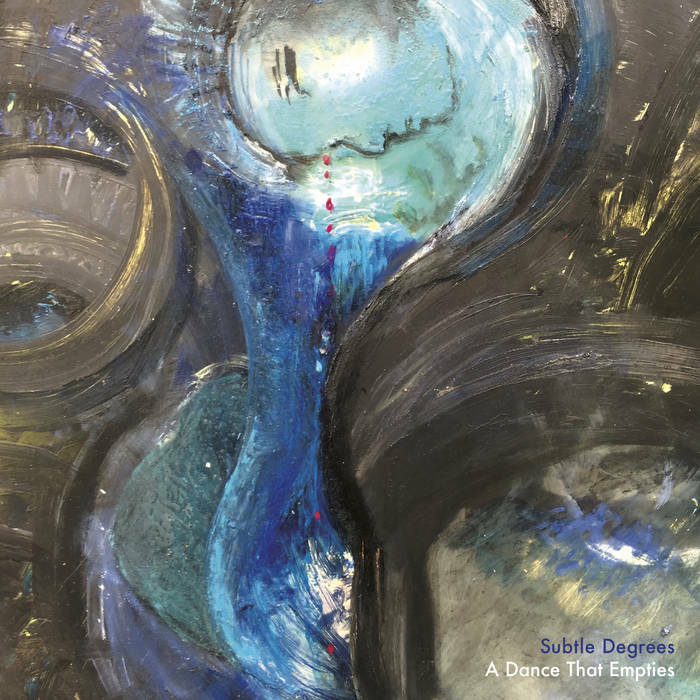 The duo’s uncategorizable sound evokes everything from contemporary classical music, avant garde jazz, minimalism, technical metal, and sacred world music. 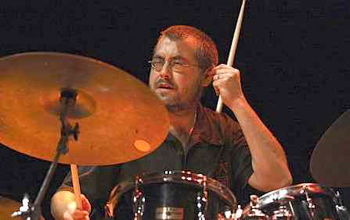 Laplante is also the founder/composer of saxophone quartet Battle Trance and the ensemble Little Women. A Dance That Empties was made possible, in part, by the Jerome Foundation and Roulette. The Compact Muon Solenoid (CMS) is a general-purpose detector at the Large Hadron Collider (LHC). It has a broad physics programme ranging from studying the Standard Model (including the Higgs boson) to searching for extra dimensions and particles that could make up dark matter. Although it has the same scientific goals as the ATLAS experiment, it uses different technical solutions and a different magnet-system design. The CMS detector is built around a huge solenoid magnet. This takes the form of a cylindrical coil of superconducting cable that generates a field of 4 tesla, about 100,000 times the magnetic field of the Earth. The field is confined by a steel “yoke” that forms the bulk of the detector’s 14,000-tonne weight. An unusual feature of the CMS detector is that instead of being built in-situ like the other giant detectors of the LHC experiments, it was constructed in 15 sections at ground level before being lowered into an underground cavern near Cessy in France and reassembled. The complete detector is 21 metres long, 15 metres wide and 15 metres high. The CMS experiment is one of the largest international scientific collaborations in history, involving 4300 particle physicists, engineers, technicians, students and support staff from 182 institutes in 42 countries (February 2014). In the original stages of the project, we worked with what is called live coding; essentially making music by writing computer programmes in real time. This is done in such a way that they can be re-written ‘on the fly’, while they are running. The physics data formed source material for our improvisations, and our goal was to explore the unique character of these particle collisions by rendering their salient aspects in sound, creating surprising results and challenging us as performers to respond musically. This evolved into a fruitful and ongoing project, leading most recently to this new work for orchestra, electronic sound, and video for Esprit. While not an improvisation, it uses similar approaches to produce orchestral material as well as electronic music. Working in SuperCollider (the environment we use with the ensemble, of which I’m an active developer), I developed initial sonifications which I then converted to musical notation. 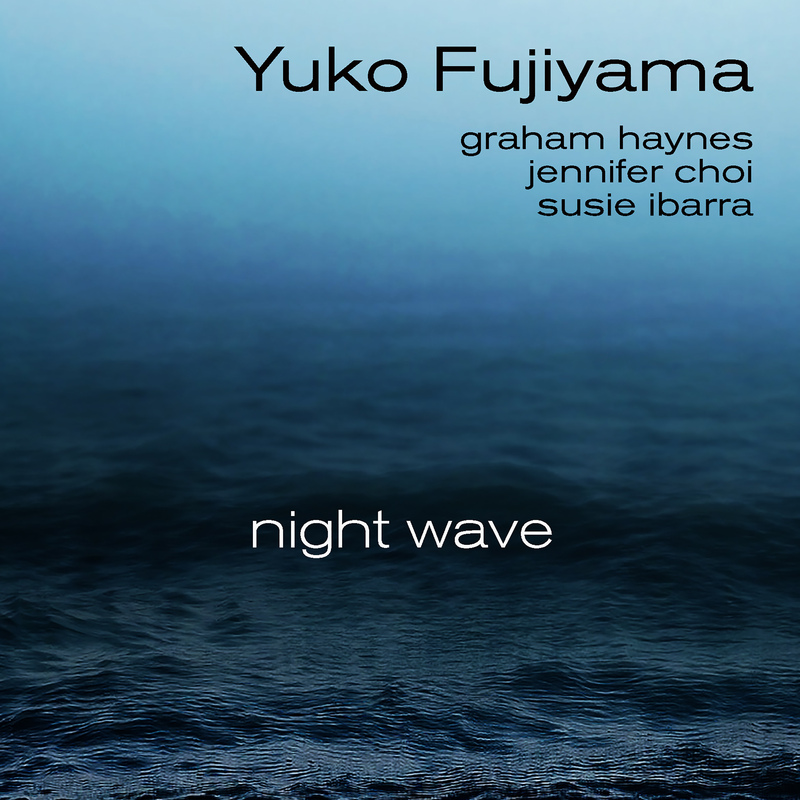 These formed the core material of the work, both in terms of orchestral writing and electronic sound. The orchestra parts consist both of music derived from these (in whole or in fragments), and a variety of responses to them, inspired by the fascinating musical characters they exhibited. In some sense this work must be intuitive: Particle collisions do not sound like anything, except as made audible through an algorithm which maps aspects of the event to sounds or musical materials. Tickets: $18 General; $15 Students and Seniors; $12 Jewish Museum and Bang on a Can Members. Available at http://www.thejewishmuseum.org. Includes museum admission. Bang on a Can and the Jewish Museum’s 2017-18 concert season, which focuses on pioneering female artists, concludes on Thursday, April 26, 2018 at 7:30pm with a performance by cellist, composer, and improviser Tomeka Reid. 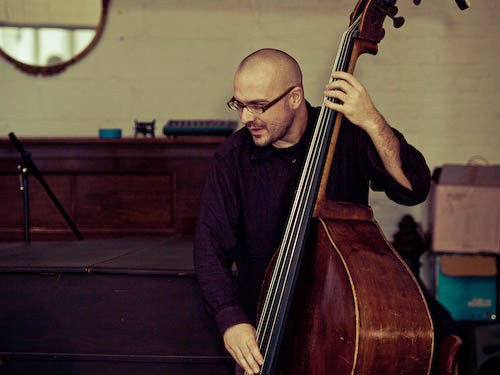 Reid will perform with the Tomeka Reid Quartet, her own collection of leading Chicago and New York-based musicians, including Jason Roebke, bass; Mary Halvorson, guitar; and Tomas Fujiwara, drums. The ensemble will perform new compositions, combining her love of groove along with freer concepts, inspired by the themes in Scenes from the Collection, a new, major exhibition of the Jewish Museum’s unparalleled collection featuring nearly 600 works from antiquities to contemporary art. In the ongoing exhibition, Scenes from the Collection, art and Jewish objects are shown together, affirming universal values that are shared among people of all faiths and backgrounds. The installation is a powerful expression of artistic and cultural creativity as well as a reflection of the continual evolution that is the essence of Jewish identity. This unique mix of art and ceremonial objects speaks of the many strands of Jewish tradition, culture, spirituality, and history. The stories the works of art tell illuminate multiple perspectives on being Jewish in the past and present, how Jewish culture intersects with art, and how it is part of the larger world of global interconnections. Recently described as a “New Jazz Power Source” by the New York Times, Chicago cellist and composer Tomeka Reid has emerged as one of the most original, versatile, and curious musicians in the Chicago’s bustling jazz and improvised music community over the last decade. Her distinctive melodic sensibility, usually braided to a strong sense of groove, has been featured in many distinguished ensembles over the years. 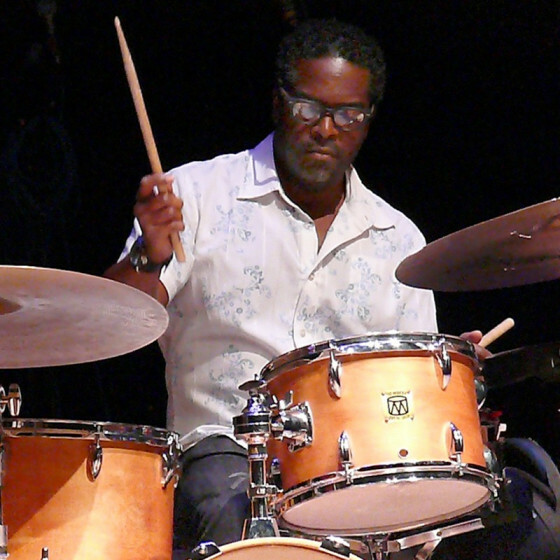 Reid has been a key member of ensembles led by legendary reedists like Anthony Braxton and Roscoe Mitchell, as well as a younger generation of visionaries including flutist Nicole Mitchell, singer Dee Alexander, and drummer Mike Reed. She is also a co-leader of the adventurous string trio Hear in Now, with violinist Mazz Swift and bassist Silvia Bolognesi. Reid released her debut recording as a bandleader in 2015, with the eponymous recording, Tomeka Reid Quartet, a lively yet charged debut album that is a vibrant showcase not only for the cellist’s improvisational acumen, but also her knack for dynamic arrangements and her compositional ability. Reid, grew up outside of Washington D.C., and her musical career kicked into gear after moving to Chicago in 2000 to attend DePaul University for graduate school. Her work with Nicole Mitchell and various Association for the Advancement of Creative Musicians-related groups have proved influential to the young musician. 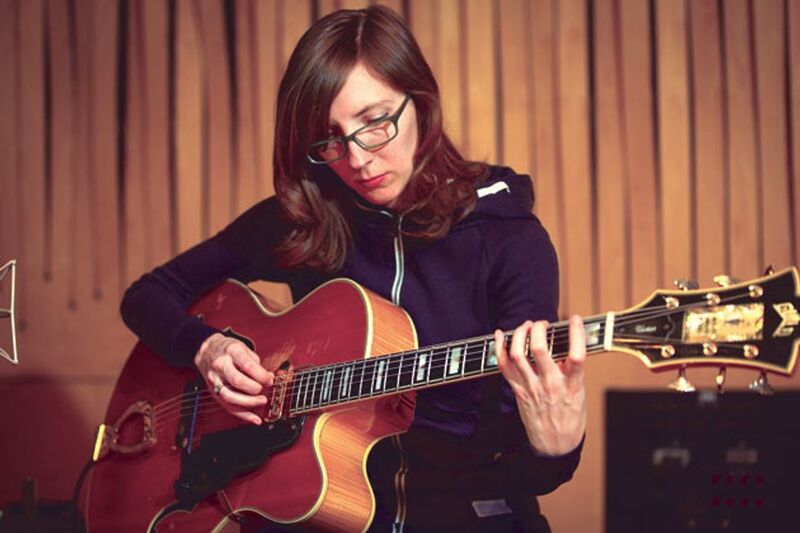 By focusing on developing her craft primarily as a side person and working in countless improvisational contexts, Reid has achieved a stunning musical maturity. Reid is a 2016 recipient of a 3Arts award in music and received her doctorate in music from the University of Illinois, Urbana- Champaign in 2017. The 2017-2018 season marks the fourth year of the Jewish Museum and Bang on a Can’s partnership, producing dynamic musical performances inspired by the Museum’s diverse slate of exhibitions. This is the final concert of this season focused on pioneering female artists. Details about the 2018-2019 season to be announced. Composer and percussionist Baljinder Sekhon, brings forth his exuberant and ear catching pieces for percussion ensemble on Places and Times. David Kechley’s The Walbrzych Project consists of two orchestral works, brought to life in the Polish town bearing the same name, that are influnenced by everything from a classroom in Japan, to Shakespeare, to the Old Testament, to Proust. All combined, these influences are reflected by the expansive pieces on this album. Sekhon writes: I have been heavily influenced by the teachings of Don Juan, specifically those found in the book Journey to Ixtlan. Death Is an Adviser is a chapter from the book that deals with the awareness of death and how such awareness advises our decision-making in life. The movement titles each have double meanings, which reflect both the philosophy that inspired the piece and the compositional process. I am interested in finding ways for my creative work as a composer and other life activities to intersect and become the same. For this piece, in an effort to work and spend time with my family at once, my daughters and wife drew numbers from a hat to determine pitch orderings, durations, and contour. After selecting numbers for pitch and duration, and combining them, we’d run to the piano to play it and hear how it turned out. We made a game out of it. David Kechley’s latest album of orchestra music is a lot easier to listen to than pronounce. It draws from far flung parts of the world, and historical origins, and brings them into a grand compelling vision. The album features two large scale orchestra works recorded with dazzling clarity by the Sudeten Filharmonie in a small Polish town, Walbrzych (most recently in the news for supposedly being the subterranean hiding place of the infamous Nazi gold train). The first work, KARASUMA: A Fast Funk for Orchestra, started life as a classroom exercise at the Doshisha Women’s College in Kyoto, Japan, where Kechley demonstrated how acoustic musical fragments could be combined in various ways by computer. The work was so successful it was expanded and premiered by the Boston Pops in 1993. The other major work on the album is a symphony exploring various aspects of dreams, WAKEFUL VISIONS / MOONLESS DREAMS. Each of the four movements is associated with literary references; from the Old Testament, a haiku by Buson, the Witches’ scene from Shakespeare’s Macbeth, and musings on remembrance by Marcel Proust. David Kechley recently retired from teaching at Williams College, Massachussetts. Taken as a whole this is a record of an expansive imagination and an intercontinental achievement. Los Angeles, CA – If you haven’t yet got your fill of six-string slinging, tour de force performances, then we have the collection for you! 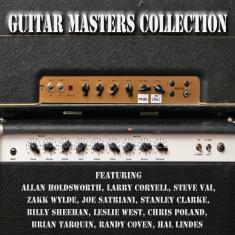 From multi-Emmy award-winning composer/producer Brian Tarquin comes Guitar Masters Collection, an extraordinary compilation of hard-to-find rarities, including tracks from the late great Allan Holdsworth, plus a rare, unheard recording by the recently departed guitar icon Larry Coryell. The album also contains cover songs “Hair” by Joe Satriani & Stanley Clarke and “I Wish” featuring former Ozzy axeman Zakk Wylde as well as Steve Vai, Chris Poland (of Megadeth), Leslie West & Hal Lindes (of Dire Straits) alongside bass masters Randy Coven and Billy Sheehan. Avant-garde rock meets the Jewish tradition in On Pitom, a shredding instrumental band led by guitarist Yoshie Fruchter. This fiery quartet combines influences from Frank Zappa, The Melvins and Masada into an exciting band performing catchy compostions that both pay tribute to and challenge its heritage. 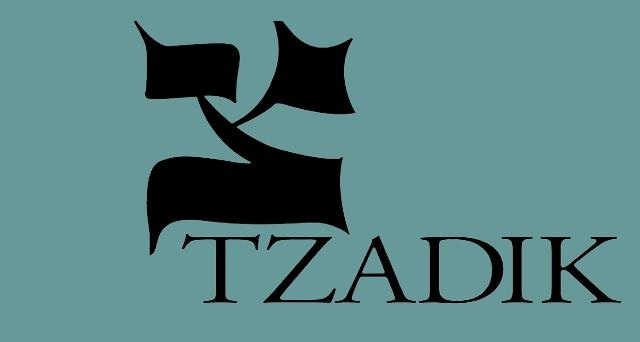 With two releases on John Zorn’s Tzadik Records, the Radical Jewish Culture series, and more music on the way, On Pitom continues their exploration of the New Jewish rock sound. Pitom is a Jewish jazz-punk-sludge-metal hybrid – the kind of music that could only come from a culture known for wandering. 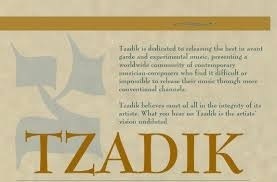 With two successful albums on Tzadik records, the first of which the Wall Street Journal called a “dazzling debut,” Pitom continues to evolve their unique brand of musical adventure. With its cacophonic guitar, surly heavy-metal bass and a soaring violin, their music is so ethereal that the listener needs those mosh-pit drums to rocket them back down to Earth. 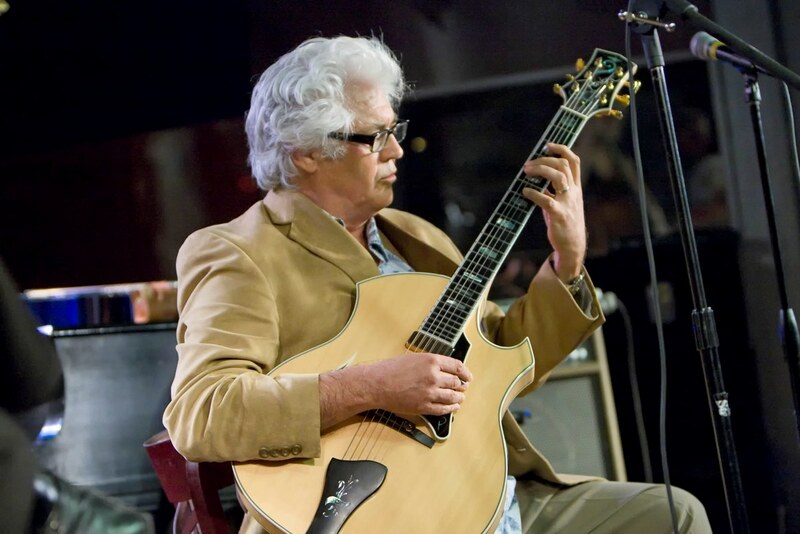 Pitom’s bandleader, guitarist/composer Yoshie Fruchter has been making his mark on the downtown community since 2005. 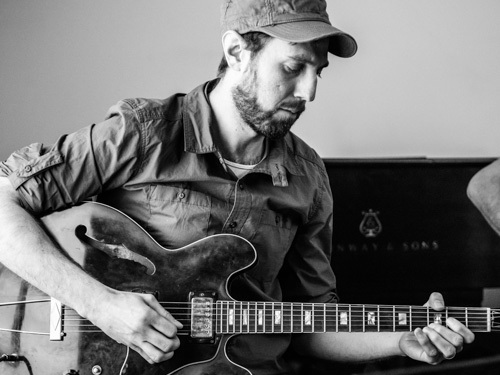 Born into a cantorial family, his unique background in Jewish music, jazz and rock give his guitar sound and approach a flavor that is both extremely musical and yet out of control. 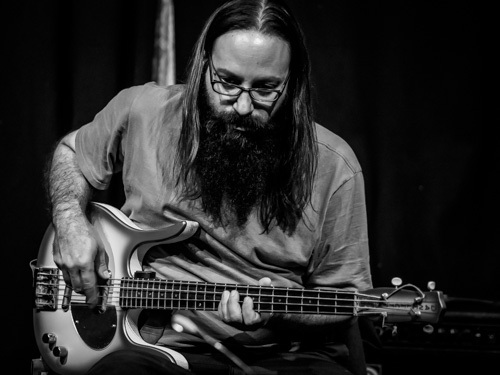 The other three members of Pitom – bassist Shanir Blumenkrantz, drummer Kevin Zubek and violinist Jeremy Brown, all amazingly talented musicians in their own right, bring influences from traditional klezmer to noise rock to make this thoughtful and groundbreaking music. Tzadik records founder, John Zorn, described Blasphemy as “a fiery and soulful album that you will listen to again and again” and audiences around the world, Jewish or not, have felt the same way. 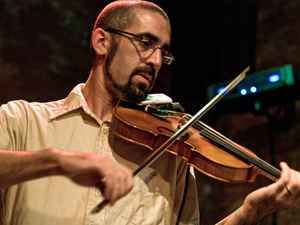 Pitom has performed all over the country and in Eastern and Western Europe including the Atlantique Jazz Festival in France, Otwarda Twarda festival in Warsaw, and Jewish music festivals in Washington DC, Detroit and New York City. National Sawdust, is an unparalleled, artist-led, nonprofit venue, is a place for exploration and discovery. 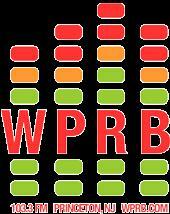 A place where emerging and established artists can share their music with serious music fans and casual listeners alike. 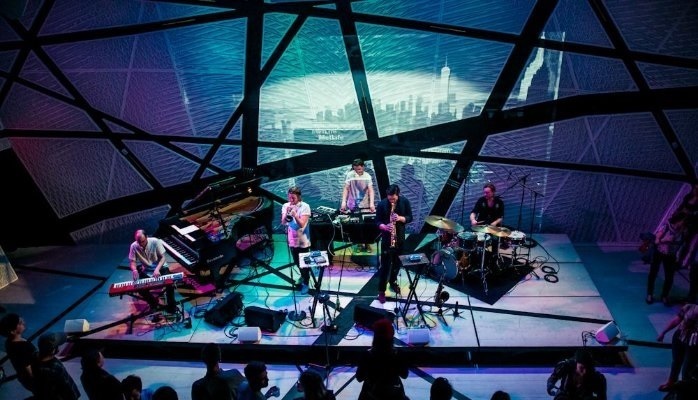 In a city teeming with venues, National Sawdust is a singular space founded with an expansive vision: to provide composers and musicians across genres a home in which they can flourish, a setting where they are given unprecedented support and critical resources essential to create, and then share, their work. As a composer, I believe the role of an artist in the 21st century should be that of creator, educator, activist, and entrepreneur. I believe that 21st-century composers/artists need to be thinking about what impact they can have on their existing community, both locally and globally. At NS we believe in remaining flexible and true to the needs of artists. 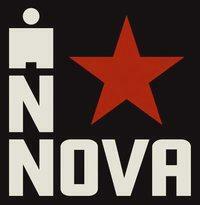 Our core mission is centered on the support of emerging artists, and on commissioning and supporting the seeds of ideas. Each year, we explore one large theme and construct programming and questions around that theme. This year, that theme is Origins. With this season, we are channeling the National Sawdust mission—empowering high-level artistry, regardless of training, genre, or fame—through multicultural artists who tell their stories through their music. Ultimately, Origins is a radical sharing of culture. We hope this cultural storytelling of the highest caliber will help bring our divided country closer together. We also believe the future of new art lives in education. To us, education is about giving young people and community members opportunities and tools to explore their potential for artistic and creative expression. But it is also about ensuring that artists themselves never stop learning – about their craft, about the work of their peers, about the business of the arts, about their own capacities to be educators and advocates. NS facilitates this kind of learning by bringing together artists from around the world in exciting composition- based projects, teaching opportunities, cultural exchanges, and hands-on management experience. Through this cultural synthesis artists leave lasting impressions on one another, become more versatile and resilient professionals, and create works that reflect a plural understanding of American society.